A Bloomberg L.P. report published on Tuesday afternoon cited anonymous "people with knowledge of the matter" saying that Apple is readying development of what would be by far its largest ever iPad, with a screen measuring 12.9 inches, a full 3.2 inches larger than the iPad Air. According to the report, the company's suppliers will begin production early next year. The increase in size is in line with that of the new iPhone 6, which will be officially introduced on September 9, with the bigger of the two models featuring a 5.5-inch screen. The market has been trending toward larger smartphones, which has surely been a factor in Apple's decision to expand the iPad, to the point where the new model will actually be similar in size to the MacBook Air notebook computer. The Bloomberg report indicates that Apple is in the early stages of a partnership with IBM whose end goal is to expand the use of its devices among corporations, schools and public administrations. The use of tablets by those groups is up 13 percent compared to a year ago, and a researcher at International Data Corporation told Bloomberg that he expects that tendency to continue in the future, especially with the introduction of larger models. Small and medium-sized companies stand to reap significant rewards from tablet use, especially if their business requires employees to work away from the office. 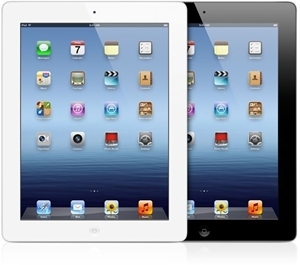 The new iPad, whenever it is finally released to the public, will come equipped with iOS 8, an operating system that is set to place a greater emphasis on cloud connectivity. Businesses looking to adopt Apple hardware for their operations should turn to an IT consulting firm that can provide certified Apple support, and keep up to date with the latest technological trends.